These highly efficient units with exceptionally low energy consumption require a smaller photovoltaic (PV) system for your refrigeration needs. SunDanzer units feature 4.33" (110 mm) of polyurethane insulation and coated steel cabinets. The brushless DC motor compressor operates on 12 or 24 VDC. A patented low-frost system reduces frost build-up for low maintenance. 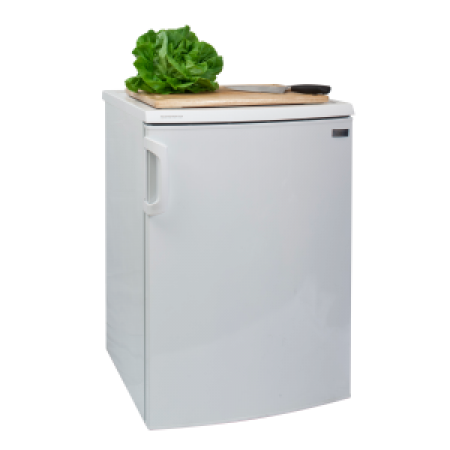 SunDanzer chest-style refrigerators and freezers are easy to clean using the drain hole at the bottom of the unit. 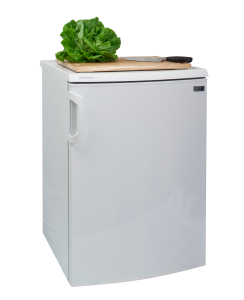 With thick insulation and a refrigeration system optimized for solar, SunDanzer refrigerators and freezers provide outstanding, economical and reliable operation. SunDanzer cabinets are commercially produced by one of the world’s leading appliance manufacturers. 1-year limited warranty. Made in the USA (Texas)! These units must ship truck freight. Shipping on your online order will not be computed accurately. Please contact us for a freight quote and to place an order.